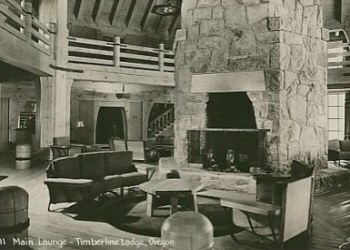 Timberline Lodge is the showplace for Works Progress Administration projects in Oregon. Its construction was financed with nearly a million dollars from the WPA and additional funding from the Federal Art Project for furnishings and art. With WPA funds available in December 1935, Gilbert Stanley Underwood was selected as consulting architect. Underwood had already designed lodges in several national parks, including Bryce Canyon and Yosemite. Timberline was designed in a similar rustic style to the national park lodges, with their asymmetrical design, the use of native materials, and a roughness reminiscent of pioneer craftsmanship. Working with Underwood, Forest Service architects Tim Turner, Linn Forrest, Howard Gifford, and Dean Wright drew the plans for Timberline, including sketches for the wrought-iron detailing and some of the rustic wood furniture. 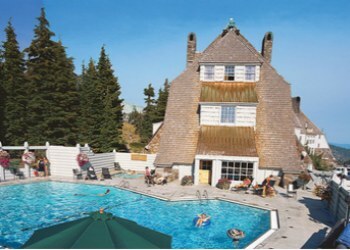 Lifestyles Northwest published a story about the history of Timberline Lodge in its February 2005 issue, based heavily on interviews with the family who have operated the lodge for fifty years. The story noted that in the lodge's early years, it had had four different operators, none of which was willing or able to maintain it. 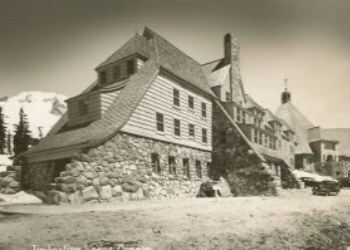 By 1955 Timberline Lodge was closed and in disrepair. Richard Kohnstamm, the patriarch of the family that currently operates it, remembered those difficulties as being due to financing problems arising from the fact that the government owned it. Kohnstamm decided to maintain the place as if he owned it himself; he lost money during his first five years of operation, but his timing turned out to be fortuitous, since he began operating it only a few years before skiing started exploding in popularity in the late 1950s. That popularity helped the family generate a profit starting in 1960. Kohnstamm, "The man who saved Timberline", died at the age of 80 on April 21, 2006. 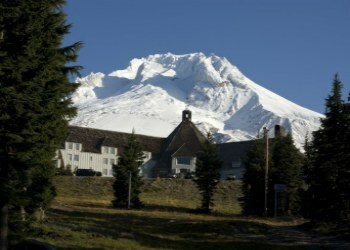 Richard's son Jeff is now the Area Operator of Timberline Lodge.